The C-Life is an inexpensive choice, but its value is undercut by the price of the C-Sleep. With its new C by GE hardware, GE takes a different approach to the smart bulb, offering two different models that are designed for different types of rooms. 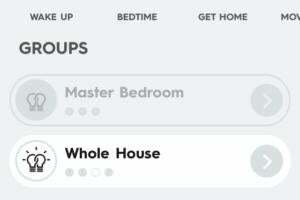 Both are Bluetooth bulbs, so no hub is required to get up and running, and you can control both through a single app. C-Life is a dimmable “living room” bulb, but it’s not color tunable. It’s preset to 2700K, a nicely warm, incandescent shade of light. At about $15 a bulb, it’s an affordable way to experiment with smart lighting technology. The second bulb is called C-Sleep, and while it looks nearly identical to C-Life, it offers some basic tuning options, with three different color temperature settings. In the morning, the cold light (about 7000K) is designed to energize. A daytime setting offers a relatively neutral, fluorescent-like hue, and in the evening hours, the light warms up further, aiding relaxation and preparing the user for bed. 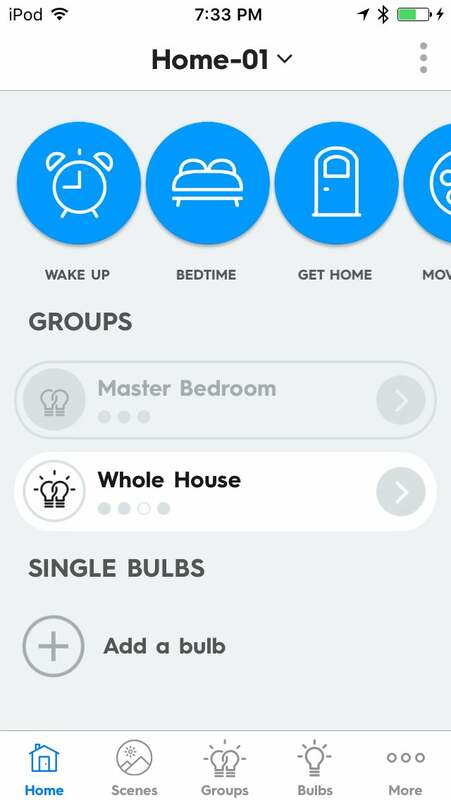 All of this is managed with the C by GE app, which features a configurable “Follow the Sun” system that lets the user set specific times at which the bulbs switch from one mode to the next. Neither of the C by GE bulbs will work with conventional or Z-Wave dimmer switches. As with most Bluetooth bulbs, C by GE bulbs set up very quickly and painlessly. The catch is that the C by GE bulbs are limited in their tenability; as noted, C-Sleep offers just three settings, and C-Life isn’t tunable at all. There’s an argument to be made that having a dozen different white colors available is overkill, but an equally valid one suggests that fine-tuning your lighting environment is a bigger job that ultimately requires more options than C-Sleep can provide. I was far from enamored with the C by GE control app, which is easy to set up, but which is needlessly convoluted in operation. “Scenes” give you quick control over all of your bulbs, letting you turn bulbs on or off, set individual bulbs’ brightness, and tune the color of C-Sleep bulbs. The C-Life bulb can be dimmed with its app, but its color temperature can't be tuned. The C-Sleep bulb is both dimmable and tunable. You can’t however set C-Sleep bulbs to use the Follow the Sun system within the Scenes system. To turn that option on, you must manage each bulb individually and override any settings it already has. (My hunch is that a future app update will remedy this problem.) C by GE requires an account to use, and control can be shared with up to five users, each requiring an account as well. C by GE bulbs physically look good, and the light they produce is bright enough and pleasant (800 lumens for C-Life, 850 for C-Sleep). The lack of tunability for C-Life bulbs might be a deal-killer for some users, just as the limited tuning options on the C-Sleep bulbs might be a letdown for those looking for a higher-end solution. The $25 C-Sleep bulb is a relatively affordable option, but compared to $30 for a light like the Philips Hue White Ambiance, it’s not cheap enough to merit strong consideration. 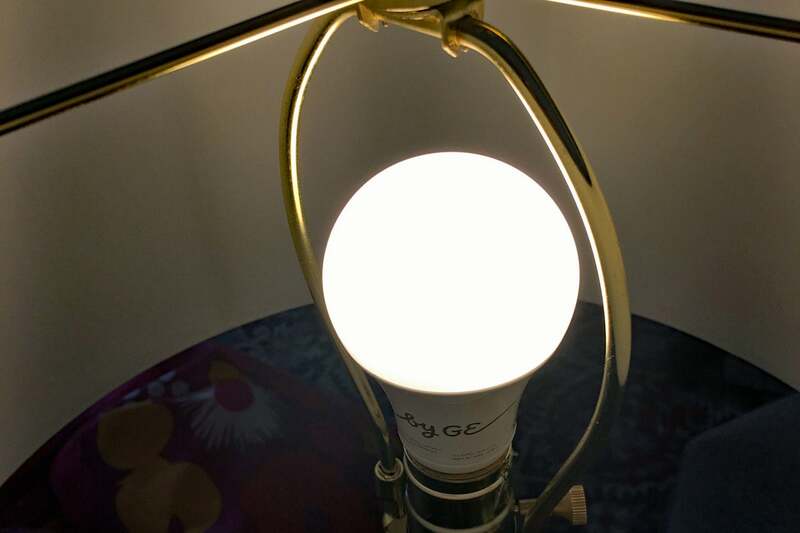 Note:This review supercedes our first look at the C by GE white LED smart bulbs. You'll find our original opinion here. Update: We first reviewed the C by GE bulbs on October 29, 2016. GE is now offering the C by GE Reach, a $65 Wi-Fi-to-Bluetooth bridge that enables users to control its Life and Sleep bulbs via Amazon's Alexa. Support for Google Assistant is planned by the end of 2017. The Reach is also integrated into the C by GE Sol smart lamp. You can read our review of the Sol here. GE’s bulbs try to simplify color temperature tuning, but they leave power users behind.